Regardless of the make or model. These settings include that both SIP ALG (Session Initial Protocol Application Layer Gateway) and SPI (Stateful Packet Inspection) need to be disabled. If the device does not have the options to disable those settings, then in many cases the router should probably be replaced for it would not be appropriate for hosted VoIP. Another important need for a small business router is the ability to prioritize traffic to and from a particular device, known as QoS (Quality of Service), in this case phones. If your router does not offer configurable QoS, then get another router. 1) Cisco Meraki MX64 Network and Security Appliance support up to 50 users. PRICE AROUND RM2,000.00. Cisco Meraki MX64 for business cloud phone services. The Cisco Meraki MX64 Network & Security Appliance is an ideal solution for businesses with multiple sites that want to eliminate the need for multiple devices. Built to handle security and network management for up to 50 clients, the MX64 uses SD-WAN to give voice and video the bandwidth they need and dynamically control the entire network's cloud applications. Cisco does requires a service contract on these devices and at an optional additional license expense an advanced suite of security features that include content filtering, Google Safe Search, intrusion detection & prevention, and malware protection can be added for a total solution. With Zero-touch provisioning and intuitive cloud-based management the Meraki MX64 can be deployed in minutes rather than days. 2) Cisco 891 Integrated Services - security and network management support up to 50 users. PRICE UNDER RM4,000.00. Cisco 891 router for business with hosted VoIP. The Cisco 891 router/security appliance offers an easy to set up user-friendly and intuitive graphical user interface that includes a number of neat wizards. One of which the is a security audit function that runs through a list of best-practice security checks. The administrator can then review a list of items that the audit recommends and make configuration changes to correct the potential vulnerability. 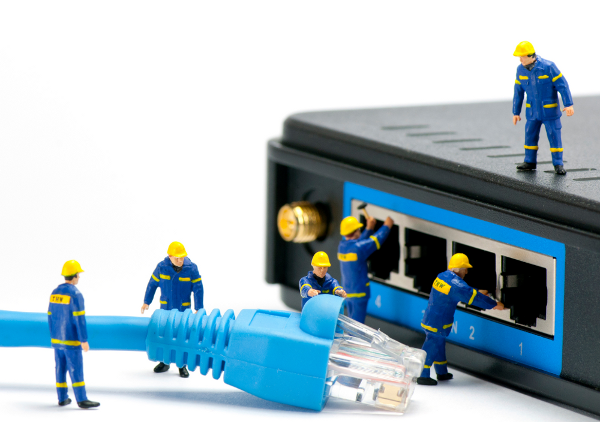 These wizards make management of this router well worth the price for admin. The router comes with QoS management and advanced features you would expect in a business router. For offices that have up to 50 users, this router is a cost effective solution that delivers secure, reliable WAN connectivity for your office and remote workers. 3) SonicWall TZ SOHO and TZ300 Appliance - Business router & firewall support up 50 users. PRICE ABOUT RM1,200.00* APPLIANCE ONLY. The SoniceWall TZ SOHO, as well as the entire TZ series with the SonicOS Enhanced software, is a great small business appliance/router/firewall for businesses that want cloud based services, including VoIP and offers a Bandwidth Management system. Optional applications such as effective intrusion prevention, anti-malware, content/URL filtering and application control can be added at an extra cost for the additional licensing. This one device offers a encompassing solution for businesses. For VoIP, you'll need to create the necessary access rules, enable consistent NAT and disable ALG, which are called SIP Transformations by SonicWall. 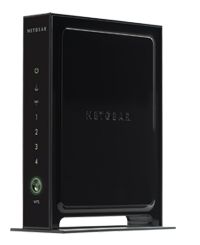 4) Netgear WNR3500L v2 - Most Affordable and Open Source compatible supported up to 5 – 7 users. PRICE AROUND RM200.00. The very popular Netgear WNR3500L V2 wireless router is very low in cost and can be used right out of the box with just a few easy to do settings (disable SIP-ALG and SPI) and configure QoS for VoIP. Considered an entry level router and recommended by several service providers, it's a good choice for a very small business that will only need a limited number of phones. For ease of configuration Netgear offers a built-in SmartWizard and users will find its web interface is intuitive and easy to navigate. Another big plus for this router is that it can be flashed with Tomato, an open source free firmware that is very VoIP friendly and adds lots of extra capabilities, essentially turning the router into a RM1,000.00 router. 5) Linksys WRT3200ACM Open Source Router with DD-WRT - Affordable, robust support up to 8 – 10 users PRICE AROUND RM1,000.00 (ADD RM400.00 FOR PRE-INSTALLED DD-WRT). The Linksys dual-band WRT3200ACM offers the fastest processor currently available in a router that can use an open source firmware. With DD-WRT open source firmware installed this router offers the processing hardware (1.8 GHz Marvel Dual-Core ARM Processor 512 MB RAM and 256 MB of Flash Memory) and the advanced networking features to handle a small office's VoIP, video, Wi-Fi and cloud service applications. If you're looking for an excellent router with amazing throughput for video calls, streaming, video or to max the speed of your VPN, then this is a router you'll really like.